I too thought this was going to be creamier, silky, like a custard. Looks delicious and very pretty! Ha – I do the photo sneak too! Holidays are for staying up late and doing things a little out of the norm, right? Simply beautiful tart! 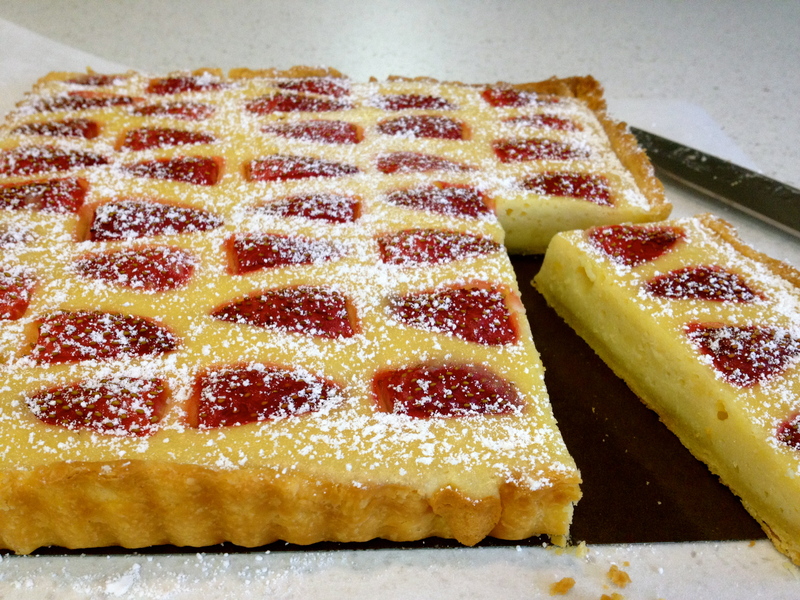 Love that you did it in a square tart pan…delicious looking! You may have a future chef in the making there, the concentration on his face is beautiful! Your tart looks great and I agree with the others love the square tart pan. that tart looks so amazing, bet it tastes the same, great post! Your strawberry tart is gorgeous! 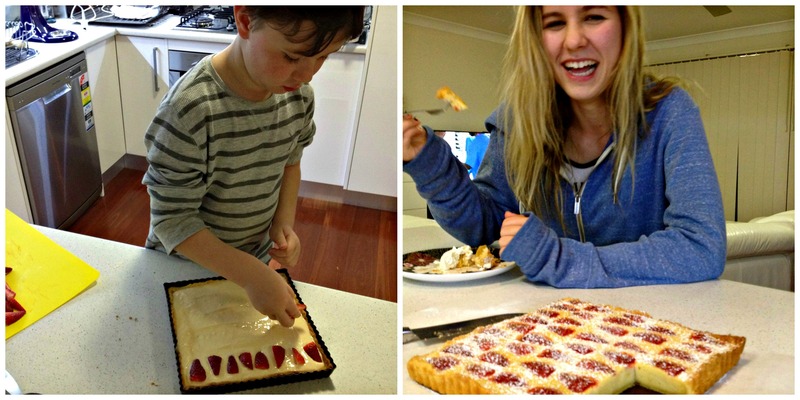 And I love that your daughter looks so happy eating the tart – it’s a great photo.